From Monday 7 March women in science from Plymouth University, from PhD students to professors, will be showcased as part of a number of activities to mark both International Women’s Day and British Science Week. 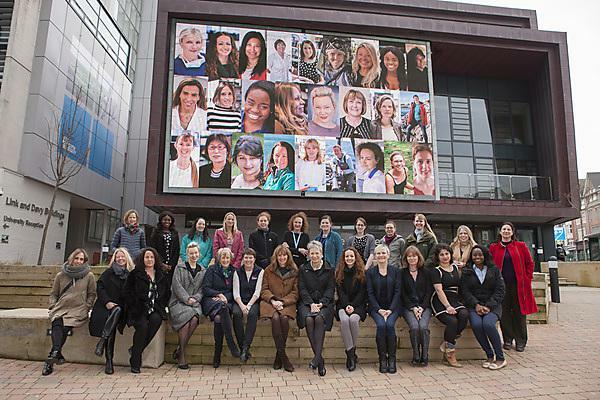 From neuroscience to marine science, podiatry to psychology, civil engineering to dentistry, Plymouth University is celebrating the diversity and skills of it female researchers with a series of images and inspirational messages to be shown on its Big Screen. For example: Professor Camille Parmesan is a leading expert in climate, the environment and human health; Professor Elizabeth Kay is a respected name in the dental profession who contributes to NICE guidelines on oral health, and Dr Claudia Barros leads research into the use of neural stem cells in treatments for neurological conditions such as dementia and brain tumours.